You now can now hear all of the great performances recorded last week from the 2008 Drum Corps International World Championships with Audio Performance Downloads (APD), available exclusively through the DCI Fan Network. Purchase 2008 World Championship APDs now! All 23 Open Class performances from the World Championship Quarterfinals in Michigan City, Ind. and all 20 World Class performances from the World Championship Quarterfinals in Bloomington, Ind. are now available. APDs are encoded as 320 kbit/s MP3 files, meaning you get the highest quality audio available in a track that will play on virtually every portable music player. 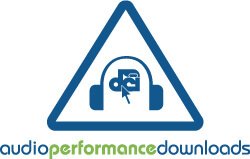 Even better, APDs directly benefit the corps whose recordings you purchase. All the proceeds will go to directly helping them, and they're certainly thankful for your support as you enjoy their programs! APDs cost $4.49, but for Fan Network subscribers, APDs are available at the discounted rate of only $2.49!